I will be spending three months at the McCahon House residency in Titirangi, New Zealand (Jan - April, 2019). The McCahon House residency programe was set up in 2006 in honour of New Zealand Artist Colin McCahon. Artists awarded the residency live and work in a purpose built French Bay house. For more information on the McCahon House and their residency program for New Zealand artists, visit their website. 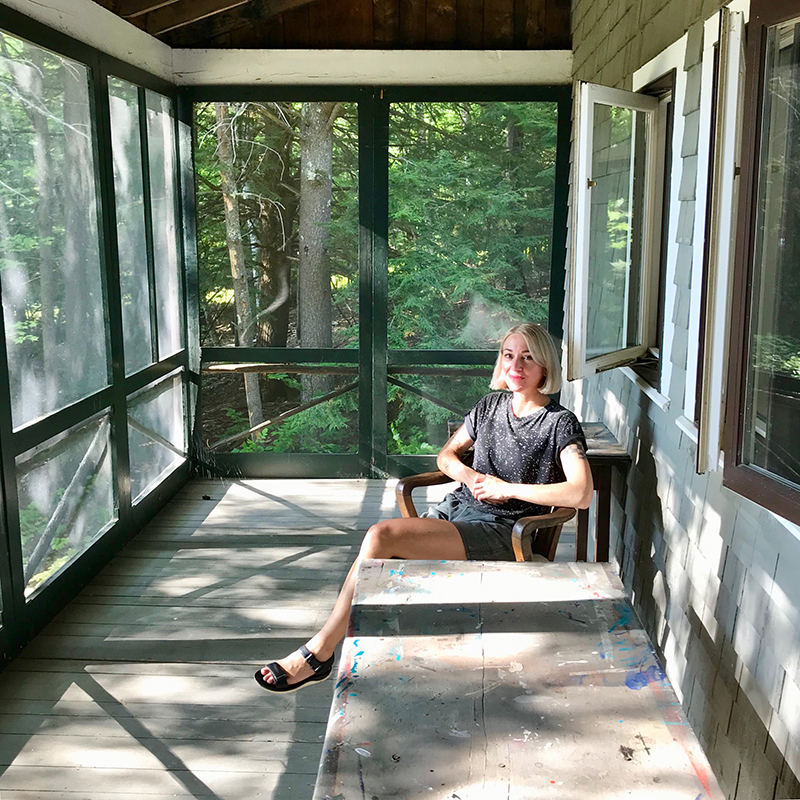 I’ve been selected for a residency at the MacDowell Colony in New Hampshire and will be living and working from one of their cottage studios from 29 August - 3 October 2018. For more information on the MacDowell Colony and their residency program for artists and writers, visit their website. I am presenting a series of unique quilts made in collaboration with my mother, Cynthia Johnson at the Ivan Anthony Gallery stand of the Auckland Art Fair. I will also be giving a public talk at the Ivan Anthony stand with curator Serena Bentley on 24 May at 2:30pm. 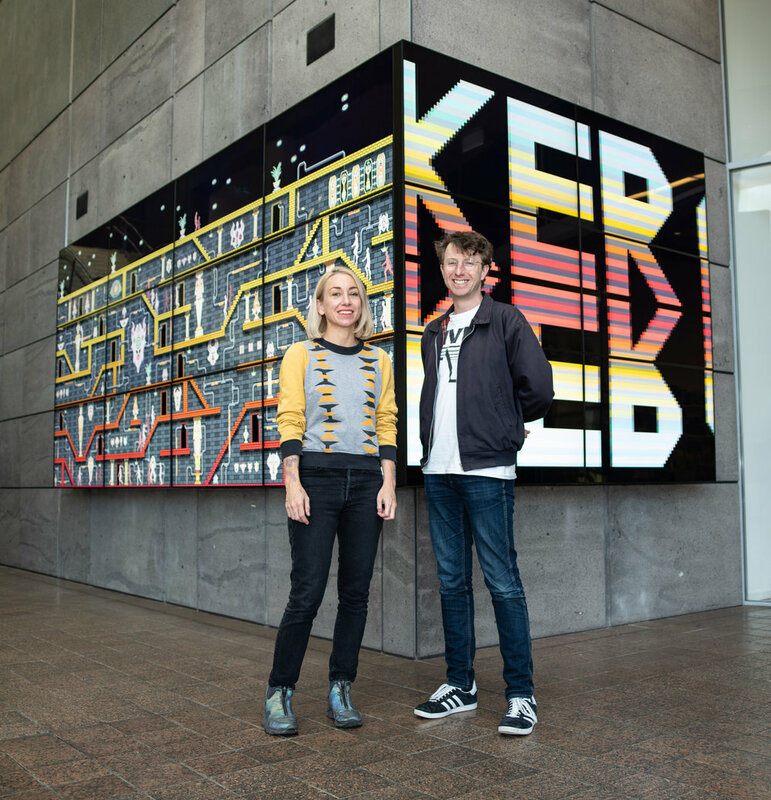 "TERMINUS, a collaborative exhibition by Jess Johnson and Simon Ward, opened Friday 4 May at the National Gallery of Australia in Canberra. The centrepiece of the exhibition is five new virtual reality artworks housed within bespoke structures situated on a full-scale tessellated floor map. Commissioned by the NGA and the Balnaves Foundation. 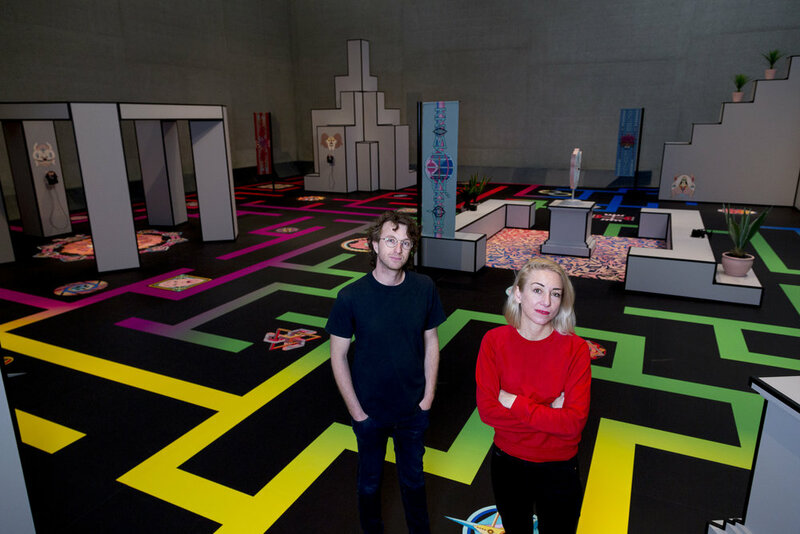 With their pioneering use of virtual reality, Johnson and Ward hold a unique position among contemporary art practitioners. Johnson’s drawings are transformed from analogue into digital, and from solo practice into cross-disciplinary collaboration. Animated by Ward and enriched with input from developer Kenny Smith and sound composer Andrew Clarke, the result is TERMINUS: a mysterious universe of alien architecture populated by humanoid clones and cryptic symbols, explored via a network of travellators and gateways. Simon Ward and I have been nominated for New Zealand's 2018 Walters Prize, for our installation and video work Whol Why Wurld. The Walters Prize is considered the most esteemed prize for contemporary New Zealand artists working in the visual arts. The other nominees are Ruth Buchanan, Jacqueline Fraser, and Pati Solomona Tyrell. The winner will be announced at the Auckland Art Gallery's 2018 Gala Dinner in November. The full installation of Whol Why Wurld will be showing in The Shape of Things to Come; the inaugural exhibition of Buxton Contemporary which launches in Melbourne, Australia. For more information click here. I was commissioned to do the artwork for Everything Is Terrible's new VHS release. The Great Satan is a video distillation of over 2,000 satanic panic, religious kook, and D-horror VHS tapes. The Great Satan VHS can be purchased here. My show at Jack Hanley Gallery was reviewed by Chloe Wyma in the November issue of ARTFORUM. I did an interview with Jessica Caroline for the Filthy Dreams art blog. Find it here. This is my first solo show in New York, opening Thursday 7th September at 6pm. For more information about the exhibition visit Jack Hanley Gallery here. I've started a one year studio residency at ISCP (International Studio & Curatorial Program) in Bushwick, Brooklyn. More info on ISCP's program here. Simon Ward and I will be exhibiting five new animations at Carriageworks for The National 2017: New Australian Art (30 March - 25 June, 2017). The large-scale exhibition presents the latest in contemporary Australian art, curated across three of Sydney's premier cultural institutions: the Art Gallery of NSW, Carriageworks, and the Museum of Contemporary Art Australia. For more information go here. I wrote an article for Art & Australia about my experiences on the Science Fiction residency at Bemis Center in Omaha, Nebraska, USA. Read it here.